The drafters of the 1945 charter of the Canadian Conference of Mennonite Churches also included wording in the Act that allowed for the Conference to be involved in financial investments (e.g., land ownership, mortgages, savings, pensions, and loans) to support ministries of the Conference. For example, the 1963 trustee minutes show that CCMBC loans were extend to three ministries at the time: Bethesda Home, Christian Press, and Quebec mission (see vol. 47, file no. 11). By 1982, the provisions granted in the Act were developed further with the creation of a retirement savings (RRSP) fund whereby individual CCMBC members could invest in a fund financing CCMBC loans to churches/ministries and have control of the interest earned on their investment (see vol. 1150, file no. 29). Credit for launching the RRSP idea in 1980 goes to George Kroker (see story in MB Herald, October 2011, pp. 12-15). A Deposit Fund added in 1988 further expanded giving options to the church loan program (see MB Herald, 13 May 1988, p. 23). These developments in the 1980s were key aspects of what became known as Stewardship Ministries. Four individuals played a key role in growing the Stewardship Ministries during its 34 years of serving the financial needs of Mennonite Brethren in Canada. Jake Riediger, with entrepreneurial vision, led the Board of Management to design the core of the Stewardship Ministries program in the 1980s. Jake Neufeld followed in 1987 and through the 1990s, creating the support systems and infrastructure that added security and confidence for investors. Alf Huebert, also in the 1990s, put a team of regional staff members "on the ground" to visit churches and individuals to help advise, counsel, and promote the financial instruments offer by CCMBC. John Wiebe's twelve-year (2001–2013) tenure built on the Riediger-Neufeld-Huebert foundation and expanded the financial programs of the Conference, overseeing an increase of several fold the dollars invested in the deposit fund (see report in Gathering 2012, also included in the file list below). The goal of Stewardship Ministries was to help Mennonite Brethren individuals and churches become better stewards of the resources that God had entrusted in their care. For the individual, Stewardship Ministries offered a variety of services that provided opportunities for better management of financial resources (e.g., will and estate planning, deposit fund, RRSP, RRIF, Gift Annuity, Endowment Fund). For the church, there was professional help in team-building and decision-making, as well as finances for church construction (e.g. mortgages). Stewardship Ministries also offered payroll services to churches. In 2014, CCMBC restructured its financial ministries. It launched a new entity called CCMBC Legacy Fund, Inc. to take over and expand the services previously provided by Stewardship Ministries. This series consists of sub-series, which are named according to name of the donor or the contents of the files. Documents include correspondence, evaluations, reports, congregational records, financial statements, magazine articles, interviews and information about services provided. These documents follow the evolution of the Stewardship Ministries department from the 1980s to 2014. Files are donated to the Centre for Mennonite Brethren Studies as they become available. Files that are part of a sub-series will contain custodial history in the sub-series description. Updated by Jon Isaak Sept 2016. This series consists of sub-series, which are named according to the name of the donor or the contents of the files. I. Ross Hardy - Stewardship Representative. Ross Hardy donated his personal files to the Centre for Mennonite Brethren Studies. These files also included documents belonging to previous Stewardship Representatives. The files contain correspondence, reports and evaluations, as well as Congregational files, several of which were selected as a sample. These documents portray the role fulfilled by a Stewardship Representative, and the evolution of the Stewardship Ministry. Some of the donated files were not included in this series, but were placed with other Institutional Records. These files include church bulletins and Bible Camp reports for Redberry and Westbank. 1979–1989, 1992, 2005, 2011, 2014. Volume 1150; Files 22-39, 46, 47. Correspondence, Reports, Minutes of 1984 Annual Convention, Schedules & Contact Info Pages. -- 1974-1993. Bi-Annual Reports & Evaluations. -- 1994–1997. Financial Statements of Stewardship Division. -- 2003. Forest Grove Community Church - correspondence, budget plans, bulletins, notes, schedules, personal prospects data pages. -- 1977–1994. 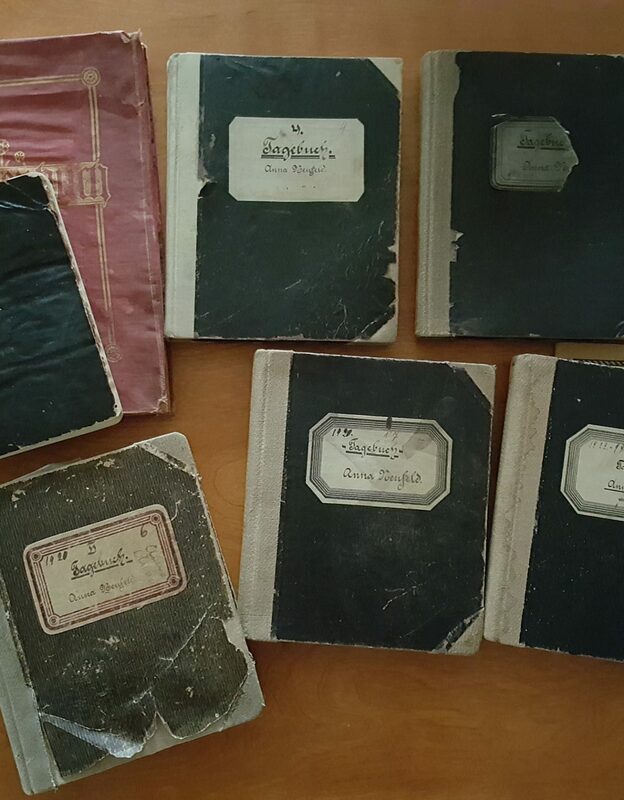 Herbert MB Church - bulletins, correspondence, appointments, notes, personal data sheets, farmer tithing guidelines. -- 1985–1991. Mennonite Trust Co. - correspondence, pamphlets & company information, annual report. -- 1986–1995. Central MB Church/Hope Fellowship Church - expense chart, bulletins, schedules, notes, correspondence, personal data sheets. -- 1967–1994. Grassy Lake/Westview Community Church - correspondence, schedules, bulletins, closing documents. -- 1994–2008. Sudanese Christian Church - finance documents & stewardship finance plan (church no longer functioning). -- 2004. Sema Community Church - correspondence, contact records, church closing correspondence. -- 2007–2008. Bridgeway Community Church - loan documentation, bulletin, correspondence. -- 1984-1985, 1988, 1992. Colonial Park Mennonite Church Fellowship - correspondence, directory list, news clipping. -- 1978, 1985–1989. Financial calculation sheets, general terms of RRSP outline, charitable donation plan, mortgage agreement outlines, informative article. -- [198?]. Willingdon MB Church – mortgage correspondence & loan terms, articles about Willingdon. -- 1981, 1989, 1992, 2011. Youth for Christ RRSP information letter and pamphlet. -- 1981–1982. Articles about the Donors Foundation. -- 1979, 1981. Correspondence, contracts, financial reports, Board of Trustees minutes (Dec. 1, 1980). -- 1980. Brochures for RRSP’s. -- 1981, [198?]. Marketing Support Plan for RRSP, correspondence regarding RRSP, Mortgages & Pension Plans, notes. -- 1981. Correspondence regarding RRSP & Mortgages, financial forms, RRSP Donation Plan. -- 1982. Mennonite Brethren RRSP information, financial forms, correspondence. -- 1983. Correspondence regarding history of RRSP program. -- 2005. Transcript of interview with George Kroker. -- 2011. Email interview with George Kroker, related correspondence & notes. -- 2011. Story/History of MB Conference RRSP Program – written by Angeline Schellenberg. -- 2011. Mortgage Fund, Mortgage Investment Fund, Indenture Insurance of Short Forms of Mortgages Act. -- [197-], 1981. Brochures, miscellaneous. Historical. -- n.d.
Conference Ministries Support Fund. Correspondence and budgets. Including John Wiebe's 2009 update. -- 1986, 2009. Stewardship Bulletin Inserts and Handouts. Historical. -- n.d.
CCMBC Treasurer J.J. Riediger Correspondence with Mennonite World Conference. -- 1977–1986. CCMBC Treasurer J.J. Riediger Correspondence with Newman, Maclean (Barristers). -- 1978–1987. CCMBC Treasurer J.J. Riediger Correspondence. -- 1979–1987. CCMBC Treasurer J.J. Riediger Correspondence with Chartered Accountant Firm (Sill, Streuber, Fiske and Company). -- 1980–1986. CCMBC Treasurer J.J. Riediger. MBBC Project '84 building. -- 1983–1984. CCMBC Treasurer Jake Neufeld Correspondence with Paul Kraybill and Abe Block. -- 1987. Summary of 30+ year history of Stewardship Ministries.-- 2012. News release announcing end of Stewardship Ministries and beginning of Legacy Fund, Inc. -- 2014.